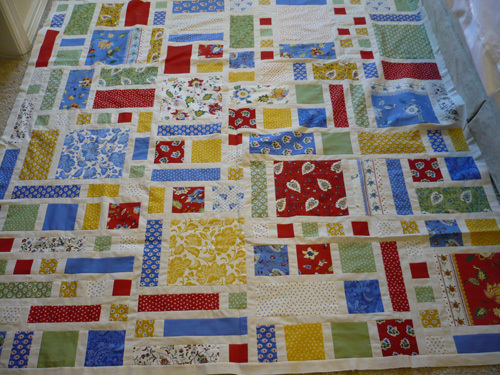 The China Blue quilt is now basted. Woohoo!! 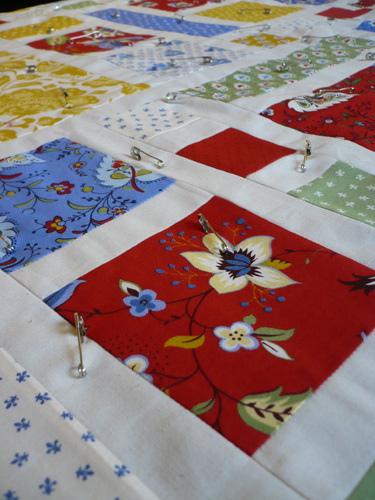 I’m hoping to get some serious quilting done in the next few days as the hubby will be on a business trip. I think that’s why my quilting has been in a slump…hubby has been home!!! As much as I love him being home with us, it will be nice to get some quiet quilting done too! This is what my dining room table looked like over the weekend. 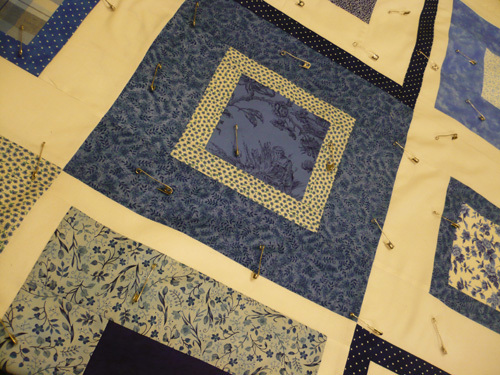 One of my readers sent me an email asking me about the Breath of Avignon quilt. I’ve got the quilt top done, and the backing all ready, and now I just need to find the time to pin baste then quilt this baby. It took me longer than most quilts to actually finish the quilt top, but I’m sure that’s just because I seem to have very little “free” time these days. Once I got going it was pretty fast…it was the getting go part that always seemed to give me trouble. Anyway, I’m really liking how it turned out, and I am eager to get it completely finished.